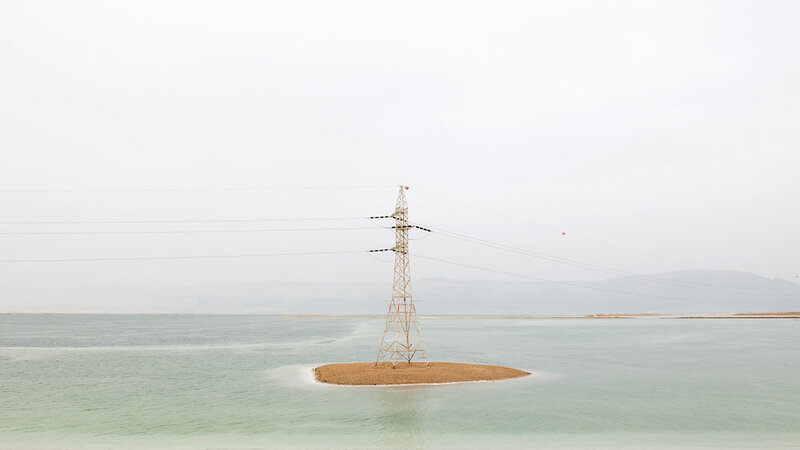 A pylon erect on an artificial Island in the shallow evaporation pools connecting power lines between Israel and Jordan in the Southern part of Dead Sea. 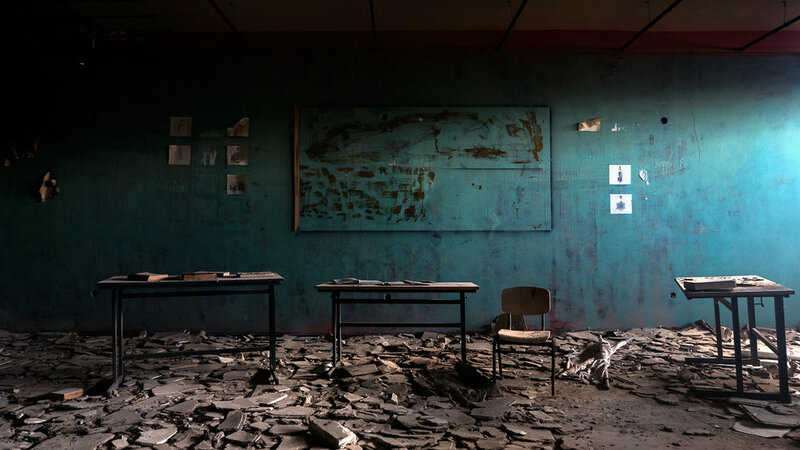 Designed by Bauhaus architect Shmuel Mestechkin in the 1960’s remains abandoned since the 2000’s. Deserted hall in the Jordanian Lido hotel, West Bank, Dead Sea North. Hotel Lido, West Bank, Dead Sea North. Jordanian Military Base in the West Bank, abandoned since the 1967 Arab–Israeli War. Shimmering salt in the Southern evaporation pools. Abandoned palm field near Kibbutz Ein Gedi, host to one of the only public beaches around the Dead Sea which shut down in 2015 due to the sinkhole crisis.